Update: Apple has confirmed the acquisition to AllThingsD, but did not reveal what it plans to do with the mapping firm. Citing sources with knowledge of the deal, Bloomberg reports that Apple has just purchased HopStop, a localized public transit navigation service that could potentially be folded into the company's Maps iOS app, and the upcoming OS X Mavericks version. If the report is accurate, HopStop's technology could by Apple to build out its Maps app, offering users directions for bus, train, subway and other transit options. The current version of Maps does not include such functionality, and instead points users searching for public transit routes toward third-party apps that can handle such tasks. 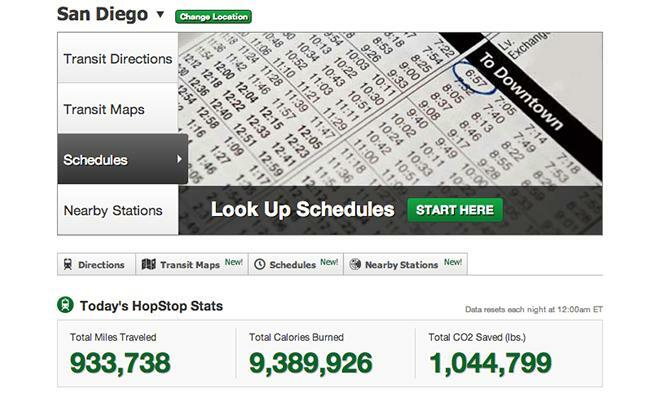 Along with supporting transit information for over 300 major cities, HopStop also includes walking, car and bicycle routing. News of the reported purchase comes just hours after Apple announced it had acquired Locationary, a tech startup that uses crowd-sourced data to offer accurate and up-to-date listings of local businesses. Apple's Maps has been the source of much debate since it was launched with iOS 6 in 2012. Incorrect data, graphical glitches and navigation issues plagued the app during its first few months in the wild. The company is still working hard to bring the mapping solution up to snuff, as evidenced by today's acquisitions.